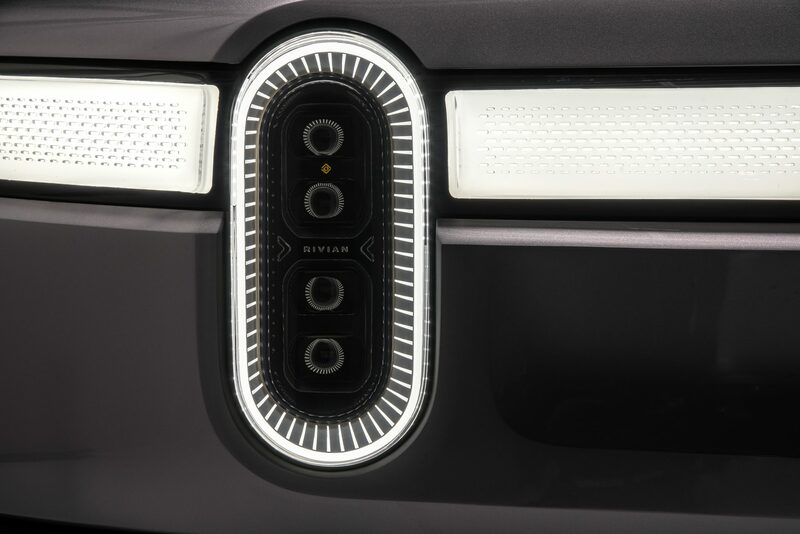 Just two short days away from the 2018 Los Angeles Auto Show, aspiring electric automaker Rivian pulled the covers off its rugged R1T pickup truck, a fully electric vehicle that's set to debut in a new class of one invented by Rivian. 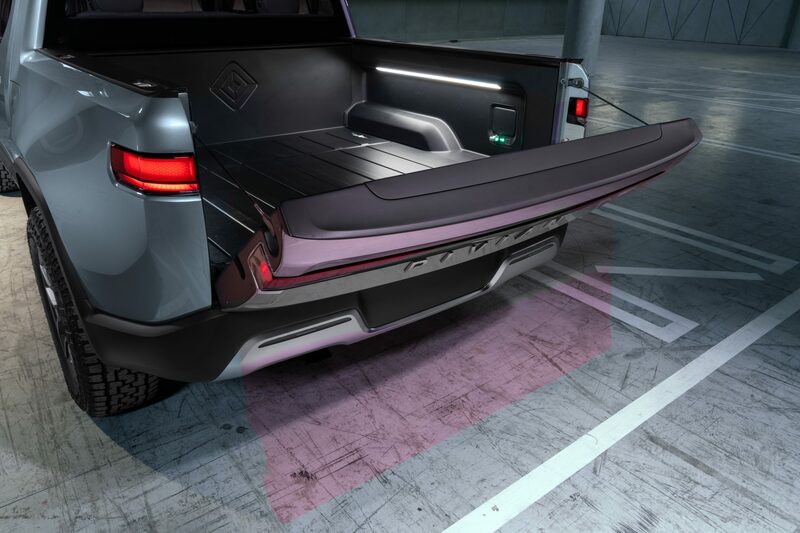 The R1T aims to be the first widely available electric truck and it will allegedly be joined by an upcoming, also fully electric, SUV in the near future. 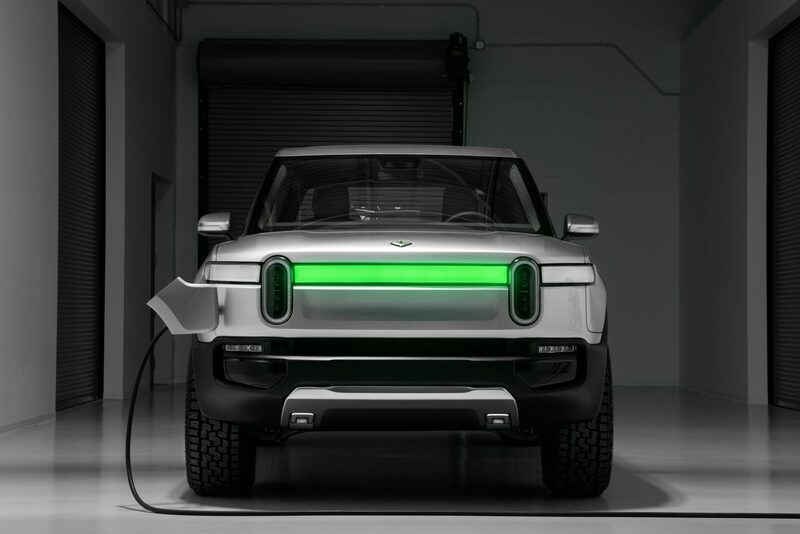 Comparable in size to other five-passenger, midsize pickup trucks, Rivian is positioning this truck in an unofficial class they’re dubbing the “Electric Adventure Vehicles,” which will also include the aforementioned SUV. Reportedly, this new class is for vehicles built with rugged functions in mind, such as construction sites, towing, off-roading, etc. To meet the demands of the target adventurer-type audience, adequate battery range is the most important characteristic before the off-roading features can even matter. 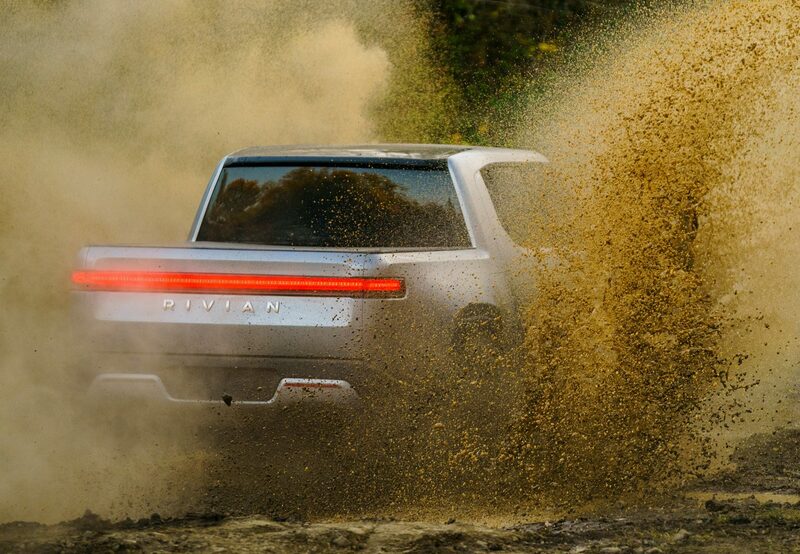 Rivian explains that the truck, when equipped with their top battery pack configuration, can travel from San Fransisco to Yosemite and back, which is roughly a 350-mile round trip. The official ranges are 230 miles "or more" with the 105 kWh, at least 300 miles with the 135 kWh, and at least 400 miles with their 180 kWh packs. All configurations feature the same four-motor electric all-wheel-drive powertrains, which are rated at 147 kW per electric motor. The truck carries a charge rate of up to 160 kW at fast-charging stations, with an 11-kW onboard charger for level 2 charging. While the powertrain itself will allegedly get you there, it's up to the rest of the truck to hold up under rugged conditions. 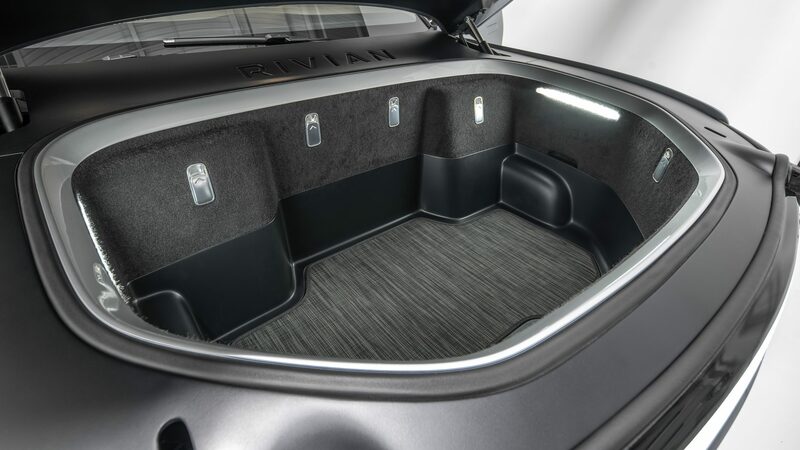 Built on Rivian’s skateboard platform, the battery pack, drive units, suspension, braking, and thermal systems are all below the height of the wheel, thus maximizing usable passenger and cargo space while improving agility and stability with its low center of gravity. 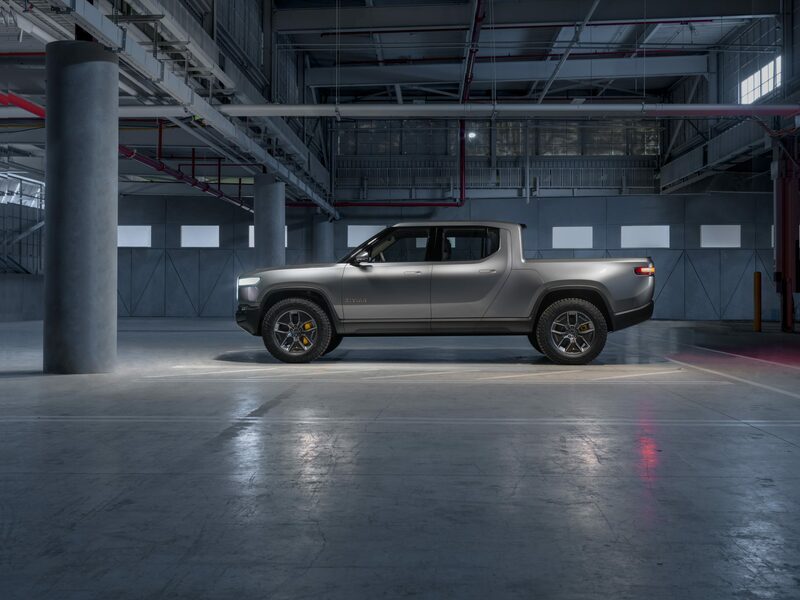 According to the automaker, the electric truck is 215.5 inches long, with a 136-inch wheelbase to achieve 34-degree approach, 30-degree departure, and 26-degree breakover angles. A standard air suspension gives the R1T pickup 7.9 to 14.2-inches of ground clearance, and the ability to climb a 45-degree grade. It will also be able to tow up to 11,000 pounds. 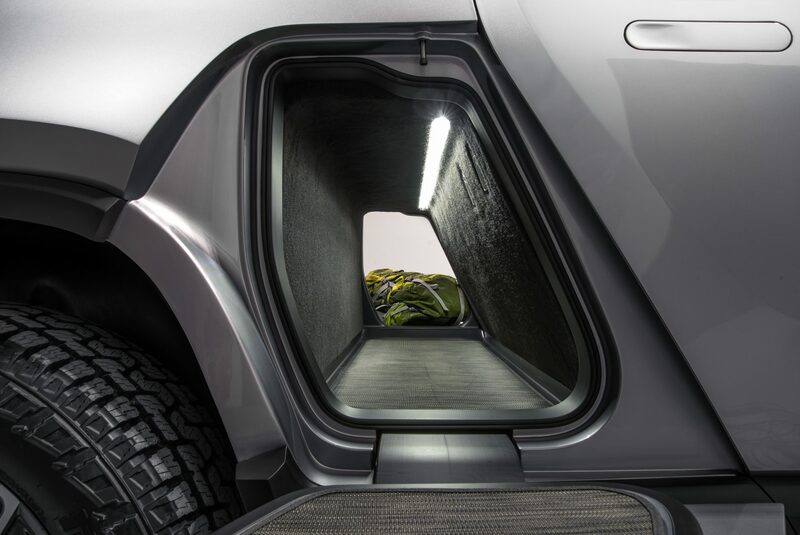 Under the hood of the R1T there's a large "frunk" compartment instead of an internal combustion engine, and a gear tunnel that extends from one side of the vehicle to the other serves as a functional side step for loading or unloading items into the bed or roof of the truck. A watertight tonneau cover and three 110-volt outlets make the bed even more useful for work and leisure purposes. 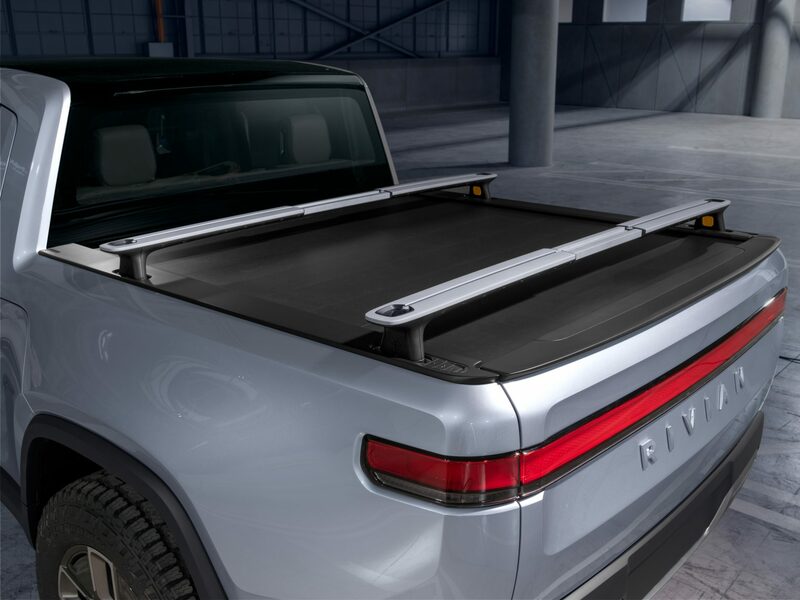 Rivian has developed the R1T truck to offer full control and flexibility of the connected car platform’s hardware and software. High-speed Ethernet offers security and over-the-air software updates for future additions of features and function to improve performance. 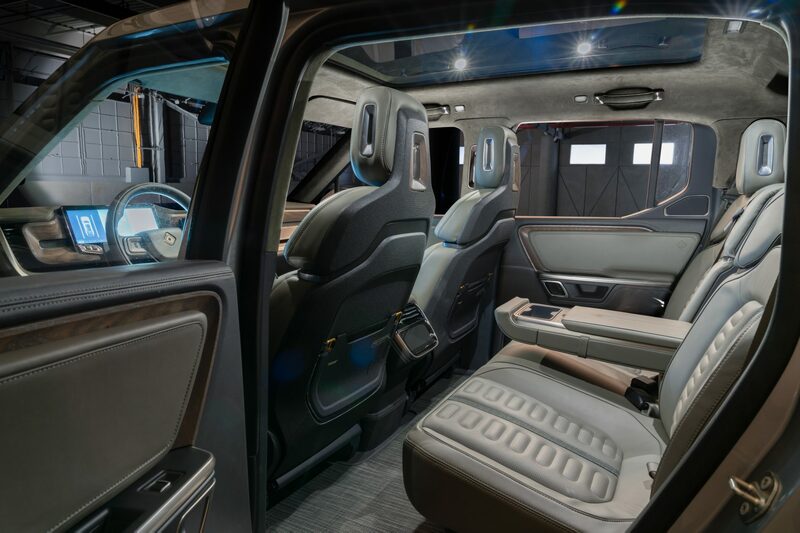 When the truck hits the market, it will carry a hardware suite that will enable hands-off wheel, eyes on road autonomy on the highway. It’s also loaded up with safety features such as eight airbags and reinforced protection of the battery. 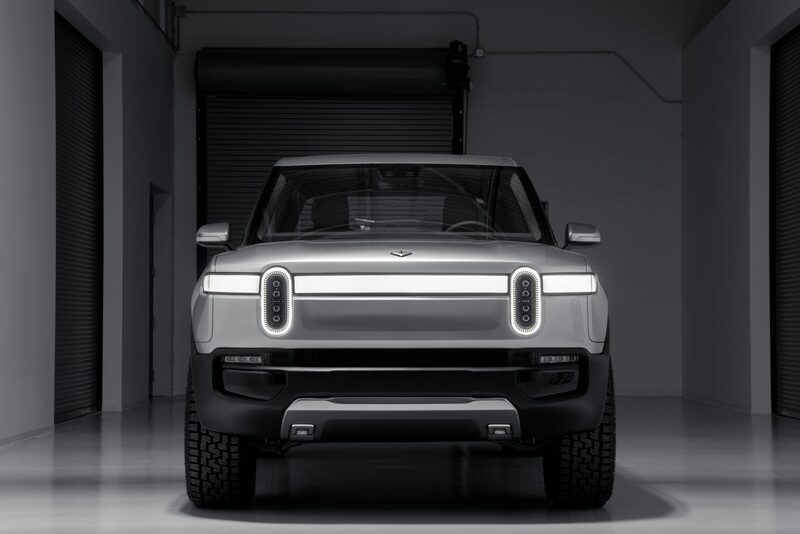 Rivian is a unique electric vehicle company that’s lived largely under the radar while developing models they intend to mass-produce. It’s only been over the last year or so that the industry, as well as consumers, have started to talk about the up-and-coming EV manufacturer. "Pricing starts at $61,500 after Federal Tax credit," read a company statement. "Deliveries of the R1T begin in late 2020. Fully-equipped vehicles with the highest performance level and largest battery pack will enter production first. Our 180 kWh pack (400+ miles range) and 135 kWh pack will be available at launch, with the base variant (230+ miles range) to follow within 12 months of the start of production."